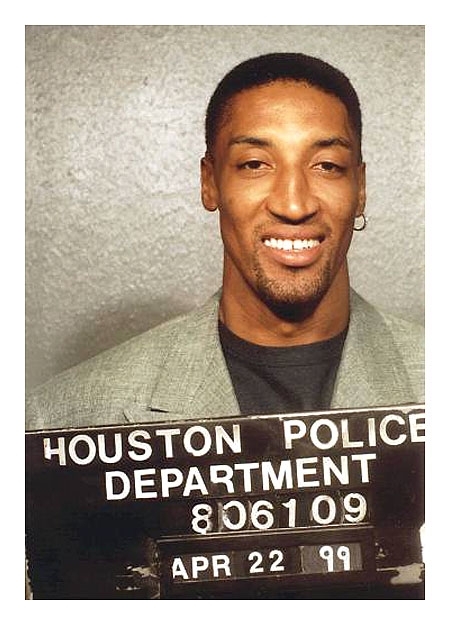 Houston police busted basketball star Scottie Pippen in April 1999 and charged him with drunk driving. Cops pulled over the six-time NBA champ's Mercedes after seeing him use an oncoming lane to pass cars stopped at a red light. Pippen, who was playing for the Rockets at the time, failed a field sobriety test and refused to take a Breathalyzer. Harris County prosecutors subsequently dismissed the misdemeanor charge.